What, your Mac’s moving like a turtle? No worries...that’s normal; a consequence of constant use. And you don’t have to worry at all; this post will guide you to revive your gadget and unleash its power to run like a cheetah again. This way, you can recoup lost time and revive your being a productivity rock star. Gadgets store up data and a whole gamut of info as it works at your bidding. So, it’s true what experts say after all: as a man eats food to survive, a Mac gobbles up data to thrive. That’s a fact we have to accept. However, the downside is—time will come when your device accumulates an enormous amount of data; the load becomes too heavy for the gadget, then it will start to slow down. Is this the scenario you’re in? I suggest you stop working and embark on a journey to give your Mac a much needed sabbatical. A Blitzkrieg break (I’d call it) would do wonders. To start things up, you make sure that the unoccupied storage space does not dive lower than 10%. Having usable space on your device that amounts to 10%, or if you are really serious about making your Mac run fast like a cheetah, ensure that there’s more than 10% of sufficient space for it to play around. This will allow the machine to work smoothly like a well greased car. It also reduces disk swapping as the featured video declares. To be assured of clearing up storage to reach at least 10% or more, you must clean up your Mac and do it regularly. Once a month is ideal. Minor system corruptions, and directory issues on disk volumes are commonplace in the world of computing. How can you address this in a jiffy? The explanation in the video will greatly guide you on the details of this step. Review your startup items: review the present line up. If there are programs you don’t need which are hogging system resources, deselect them. They are the ones slowing down your Mac in the startup process. There’s a detailed and illustrated explanation on the video. I believe it’s easy enough to follow. Remember, freeing up RAM resources by removing apps from your startup items list will basically give your Mac more RAM to use. Making it run faster. Once you reset PRAM (Parameter Random Access Memory) you will greatly help your device to perform much better. PRAM stores system settings in your computer. If your Macintosh has turned erratic, or it isn’t booting up all the way, you have to reset the PRAM. You can do this by simply pressing and holding the Command, Option, P, and R keys as you turn on your gadget. Yes, you read it correctly; there are 4 keys you need to hold down all at once. Upon hearing the 2nd startup chime, that means resetting PRAM is done, and you can now release the 4 keys. I know this is a major pain in the neck, but it’s a very effective way to eliminate countless issues on your machine. It’s actually one of the best ways to solve numerous system slowdowns. At first glance, though, non-techie people can be immensely hard up in digesting this kind of info. No worries, I got a video here to assist you, so you can have a clearer understanding of the body of info you just consumed. Watch the video below, and you’ll see what I mean. 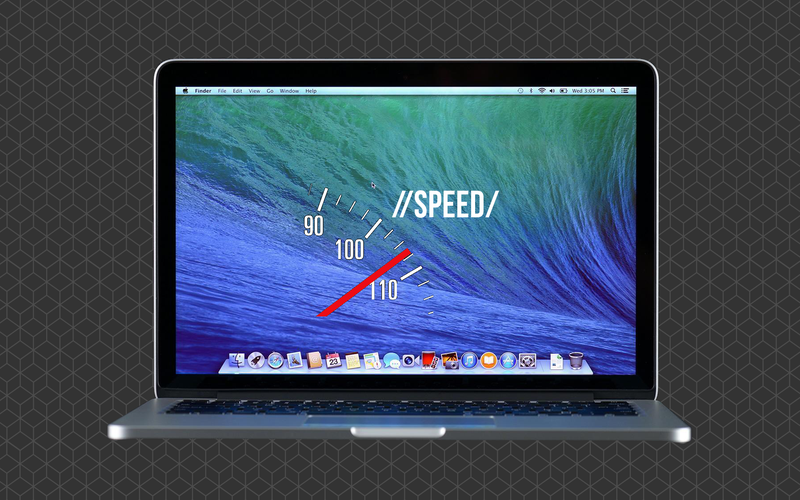 I’m sure, it’s one of the best guides you can have in finding solutions to speed up your Mac.